Dropsource provides two account types: Individual Developer and Enterprise Developer. 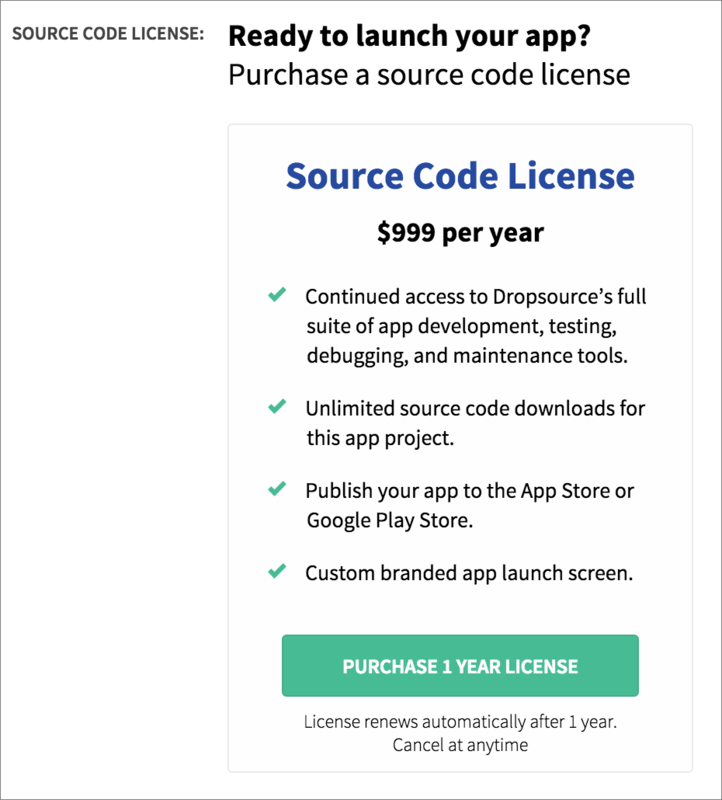 To access Dropsource, sign up by entering your details at dropsource.com, check your email, and verify your new account. Each project in your account provides access to the full range of editor functionality, as well as the ability to test your app in the simulator or on a mobile device. A single project is a mobile app for either Android or iOS. When you want to download the source code for your app, for example to launch it to an app store, you will need to purchase a source code licence for the relevant project. To upgrade a project to a source code license, navigate to your project Dashboard and find it in the list. Open the project Settings. Click the button to Purchase a license. Enter your card details and click the Pay button. If payment is successful your project will now provide access to source code download. You will see an indicator of source code license status in your Dashboard. Check out the Billing FAQs for more information on payment and billing. You can also cancel your license renewal from the project settings. For any other queries about billing on your account, contact us at sales@dropsource.com. With a Dropsource Enterprise account, you can access all editor features and source code download (plus additional services) for each project you create. 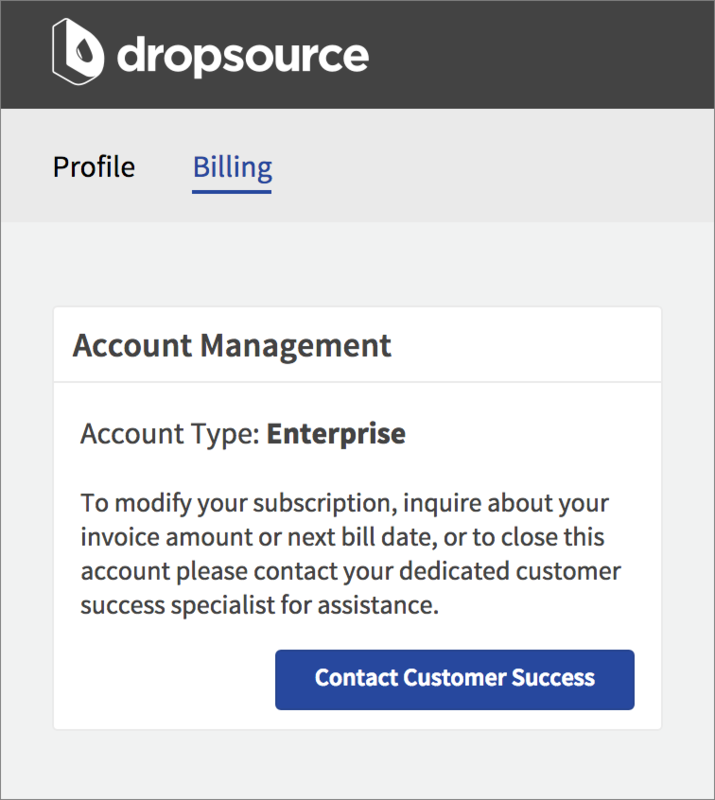 Your account is managed by a dedicated customer success manager who you can contact by navigating to My Account > Billing from the Dropsource Dashboard.